For a long time the property in Spain is one of the most popular in the world market among the prestigious, but affordable. Advantages in the area are many – a pleasant warm climate, rich cultural and historical heritage. The quality of life in the country is high and the prices on almost everything - quite affordable for people with moderate means. Buyers from non-EU countries have the opportunity to get a multiple-entry Schengen visa, becoming the owner of property in Spain. One of the most attractive coasts of Spain - Costa del Sol. 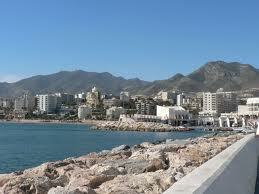 The popular resort of Benalmadena is located there. Properties in Benalmadena are profitable and promising, since you can always rent it out, if you do not live there permanently. The city's population is about 70 thousand people, but in the season this number increases considerably. Tourists are attracted by the magnificent clean sandy beaches and the good location. For lovers of solitude, fishing and diving - there are rocky coves. In the same place are located ancient defensive structures from the Arab era that will delight lovers of antiquity. For lovers of all kinds of entertainment – a dolphinarium, the largest amusement park, lift. In such an active city the commercial property is very attractive and pays well for itself. The most common purchase – studio apartments, one and two bedroom flats. The average cost of a nice apartment is about 100 thousand Euros. There is also mortgaged housing on sale, prices of which are lower than the market by 50-70%. You can take a loan to purchase property in a local bank for up to 25 years under the loyal interest rates. In the case of acquisition of mortgaged bank property, the initial fee is not required. You should not worry about tomorrow if you have real estate in a Spanish resort like Benalmadena. Living with your family - also a very interesting option, since it is possible not only to conduct your own business, but also to give quality education to your children.